Use Queries as a reporting tool. Dynamics NAV Query objects are a great way for strong users and consultants to extract data from NAV, with simple tools to group/summarize data and to combine multiple database tables. The problem with Query objects is that they only define the data structure…there is no mechanism to actually view the output, unless a developer creates a custom report or the output is connected to an external tool. Out of the box, queries are powerful but have limited usefulness to the average user. ReportPath enables users to easily generate output from Query objects. The same tool used to define Saved Reports enables users to instead specify a Query as the source object. Excel is used as the output tool for queries. Users are able to specify various formatting options to dictate the appearance of the resulting Excel sheet. 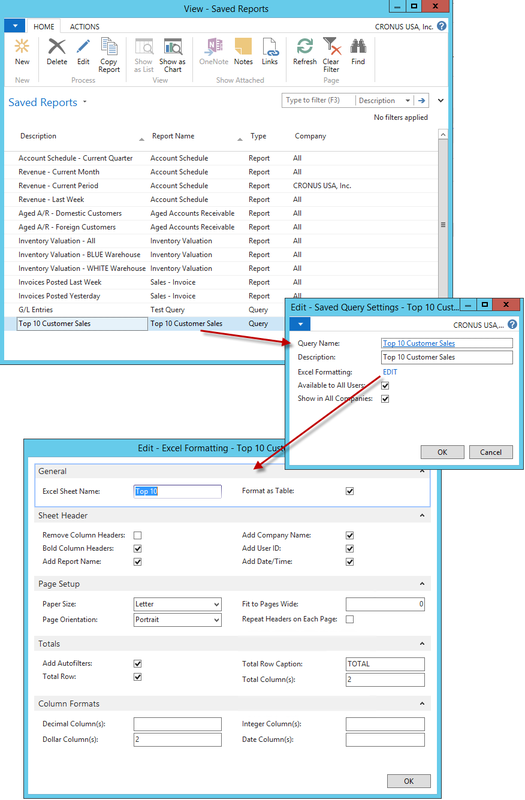 Once the definition is complete, users can add the Saved Query to their My Reports part. Once that is done, a double-click is all it takes to generate the output at any time. 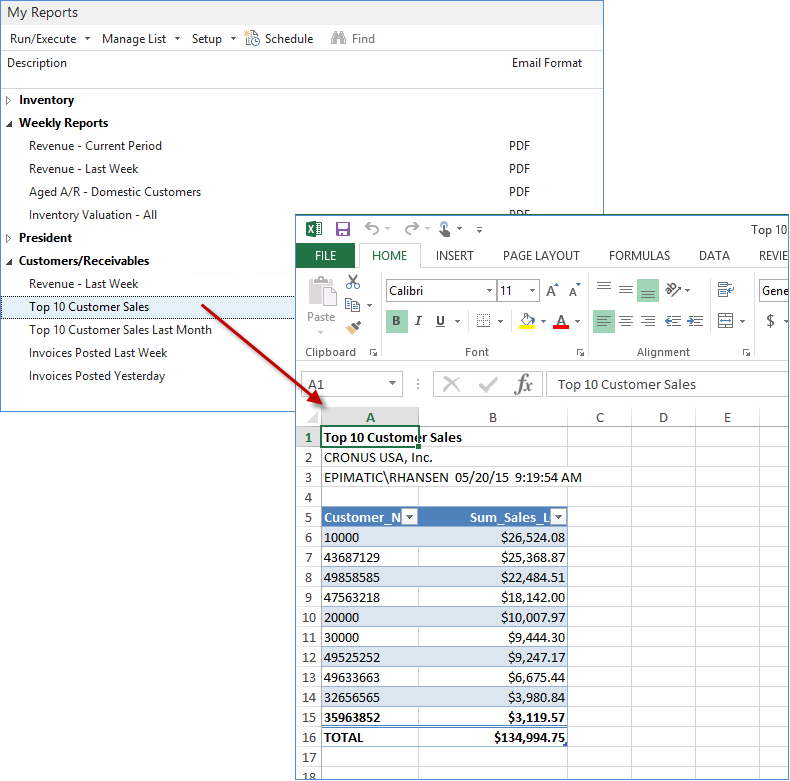 The output (in Excel format) will also be included whenever an e-mail/distribution function is used for either the individual query or the group of reports/queries it resides in.